It’s been a beautiful, busy October; one that makes me happy to live in the Midwest where savoring the seasons’ change is a major blessing. The month began with a visit from my daughter, which is always lovely and includes lots of cooking with vegetables from the potager. After that, I scrambled to move the potted tropical indoors, get the garlic planted, and to harvest and preserve as much as I could of the potager’s bounty. 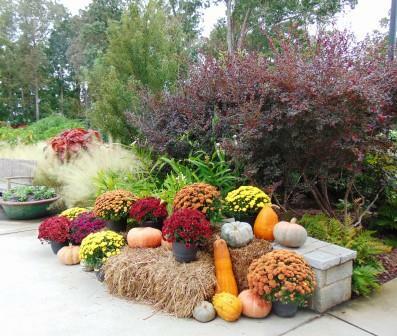 Mid-month I traveled to the sunny southeast (GA and NC) where autumn has been delayed by the rains and warmer temperatures of recent tropical storms, so I was delighted to see the beginning of fall colors upon returning home. 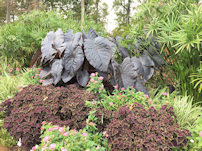 I was not so delighted to see the frost-blackened plants in the flower borders and potager but it was not unexpected. After clearing them all out, it made space for planting the 900 bulbs that had arrived while I was away. Planting bulbs makes me dream of spring, a very different, but just as beautiful season. 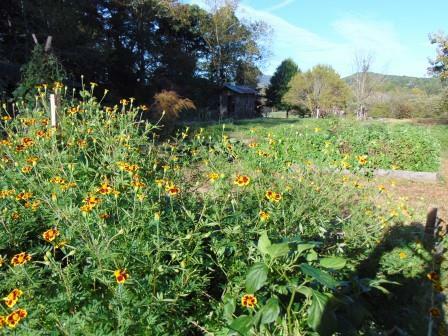 Still in the month of October there are carrots to dig, a poly-tunnel to construct over emerging spinach plantings, leeks to harvest, baskets of winter squash to carry in, and potted plants to move from the greenhouse to the warmth of the basement for overwintering. There is a bed of beets to harvest and pickle, and the first seed order much be mailed before Oct. 31 to qualify for a nice discount. It’s good to be home and back in the gardens! 6:30 p.m. At the NORA PUBLIC LIBRARY, 8625 Guilford Ave. Indianapolis. We’ll be presenting a long list of fiction novels that would grab any herb enthusiast’s interest. We invite you to bring your favorites to share, telling us what you particularly enjoyed or disliked. Refreshments provided. A brief business meeting for members only will follow the program. Iris Growers of Eastern Indiana, Monday Nov. 12, 1:30 p.m.
Join iris lovers for their monthly meeting at Fountain Square United Methodist Church, Muncie, IN Call 765-213-3540 for more information. Maybe you’ll want to become a member! 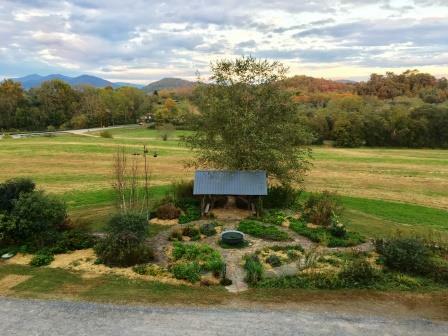 For years and years, I’ve promised myself a trip to the fabulous John C. Campbell Folk School, located in the mountains near Murphy, N.C. This school is famous for its classes in many (47!) 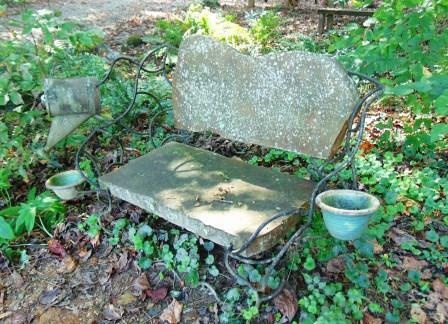 artistic mediums: blacksmithing, pottery, weaving, spinning, printmaking, music, shoe-making, lace tatting, cooking, gardening, all types of painting,bead-making, dyeing, photography, quilting, needlework, wood carving, basketry and lots more. Their inspiring instructors come from all over the U.S. Classes are kept small for individual attention. My dear cousin and I went for the “Plen air Landscape Painting” class, with internationally known artist Mary Jane Volkmann. Forty years ago, I painted a bit but haven’t touched a brush since then. Before I become too palsied to hold a brush steady with eyesight too murky to see colors clearly, I wanted to paint again. The Folk School was a perfect way to jump back in. 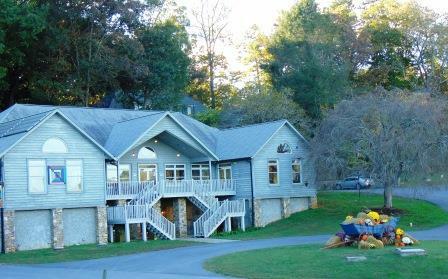 It’s located in a gorgeous part of the country on a many acre “campus.” Surrounded by woodlands, mountains, and wonderful people from all across the country just being there was a delight. No matter where you turn, there is art in evidence, whether by former students or teachers, or by Mother Nature! 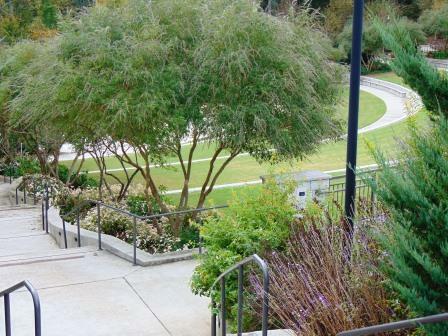 Imagine my delight, when I looked out the window of my assigned housing, to see an herb garden below! Fate had no doubt planned this lovely surprise just for me. Whenever I got frustrated with my brush, I calmed by touching leaves of my faithful friends: rosemary, basil, sage, thyme and more. The week of morning and afternoon classes sped by exceedingly fast, but I learned SO MUCH. I will never look at the world before me in the same way again. Now every view, every sky, every tree is studied for its light value, the perspective, its prospect as a subject for a future painting. I managed to do 3 paintings, plus some value and color studies. The important thing is that it boosted my confidence, not to mention my abilities, and sky-rocketed my desire to put paint on canvas! The food was delicious and plentiful, served family-style. So delicious, in fact, that I gained 6 pounds! (Obviously, my self-restraint was entirely on vacation as well!) There were lots of evening activities from local tours, to readings, folk dancing, and concerts but I was too tired (too old!!) to manage attending those. I did attend the exhibit at week’s end of all the items various classes had made, and it was truly amazing. The interaction with fellow classmates was so supportive, and we all choked up a bit as it was time to say farewell. 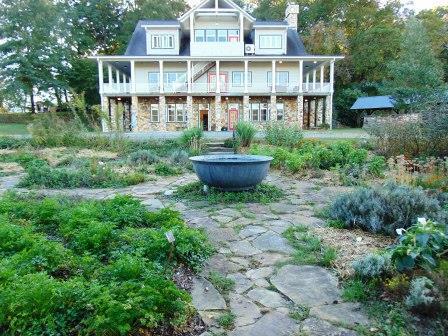 If going to a beautiful setting, with great people to learn more about an artistic venture appeals to you, please go to https://folkschool.org and click on the “Find a Class” button on the top right. You won’t believe the opportunities that await! I’m hoping to take a class on making kaleidoscopes and another painting class soon! 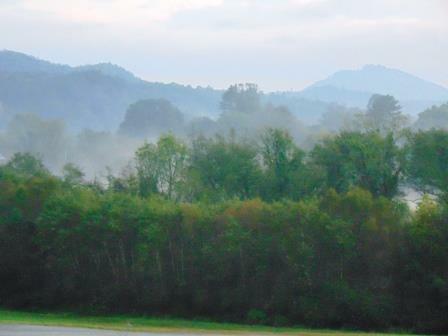 There were many interesting things on the way to and from the Folk School, as we drove from Atlanta. The famous “Dragon’s Tail” road of hairpin turns through the mountains is a popular route. “Babyland,” the home of the Cabbage Patch dolls was on the way, but not a stop we made. 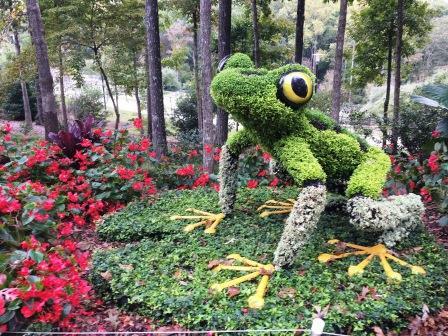 My very, very favorite stop was the Gainesville Botanical Garden. 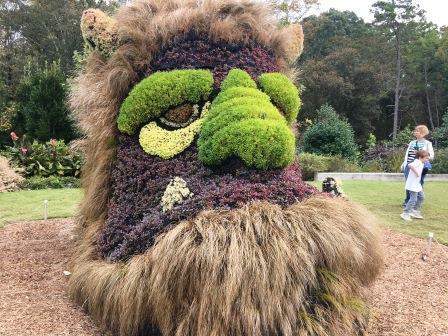 Having been to its larger sister garden, the Atlanta Botanical Gardens, many times I had high expectations and I certainly was not disappointed. In fact, I like Gainesville much better, for its compactness, its beauty, and its creativity. 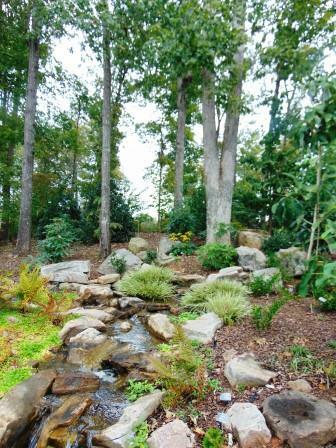 I think you will agree that the plantings were spectacular. 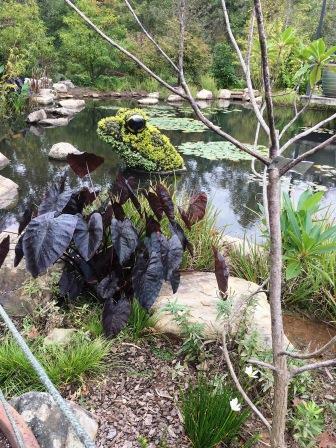 I loved, loved, loved the various frog topiaries that were so “alive” one almost expect them to hop! 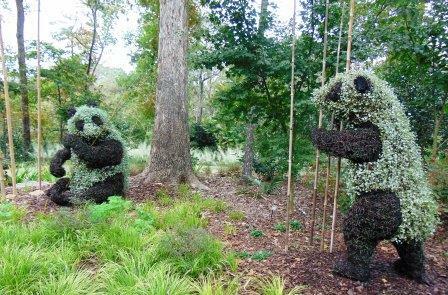 And just look at those beautiful panda topiaries! 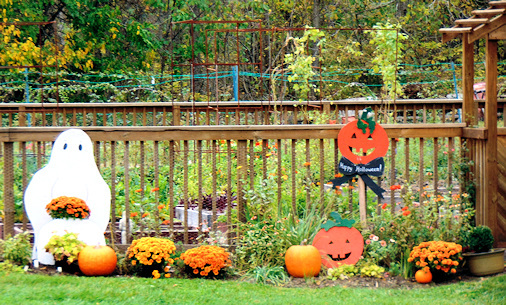 We were lucky to be there on a perfect autumn day, and during their “Scarecrow” exhibit. 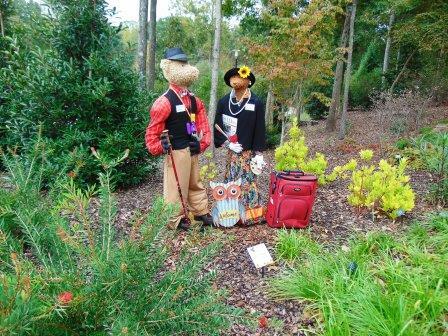 Each scarecrow was crafted by a local organization, and set into a perfect garden spot. 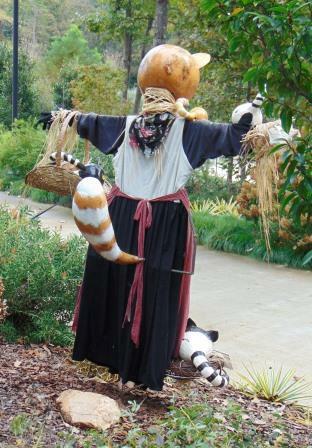 I especially liked the Cat Scarecrow, with all her little gourd kittens and her grand tail. 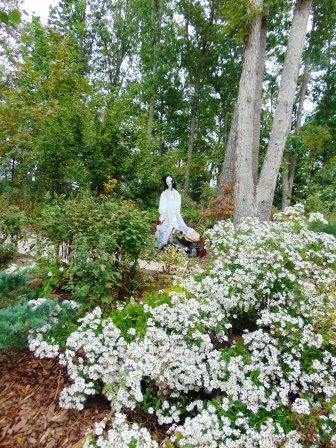 This Bear Family was ready for vacation, and the white-dressed Zombie lady looked very elegant in this setting of white asters. 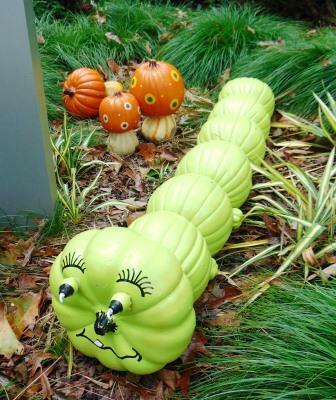 There were lots of things to keep children interested, like the creative use of pumpkins as caterpillars, mushroom, and bats. 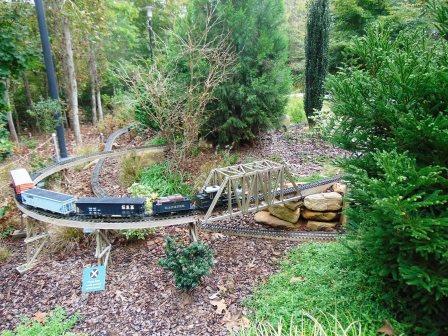 The train garden has a switch so children can make it run, and this Ogre with a hidden tunnel was a BIG kid’s crowd pleaser. If time is not a factor, there are several beautiful trails through their woodlands to the Forest Pond, or along Holly Ridge, or the Sourwood Trail. 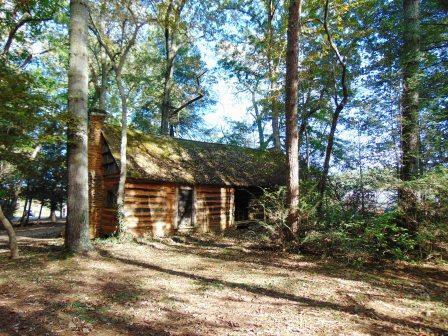 Go in springtime for the luscious Dogwood Trail, or enjoy its nationally known collection of witch hazels. And if you’re lucky, there might be an evening concert in the gorgeous amphitheater with its stunning landscape. If you’re in the area, it is definitely worth a visit. For more info go to www.atlantabg.org and click on the Gainesville location. It always delights me to see a family-owned business with a long history doing well. 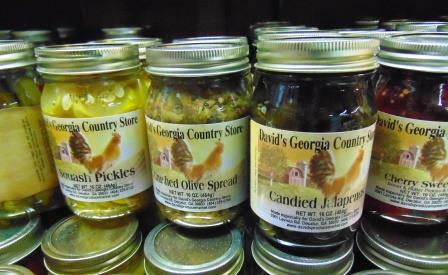 Tucked along a highway just on the outskirts of Atlanta, David’s Produce Market is a prime example. 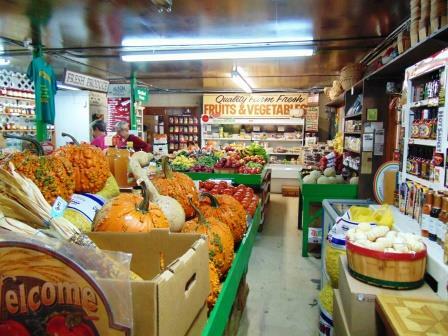 The small store is jam-packed with a mouth-watering variety of produce all year long. Of course in fall, the outside of the store is fronted with big displays of pumpkins and mums, which carries along inside as well. 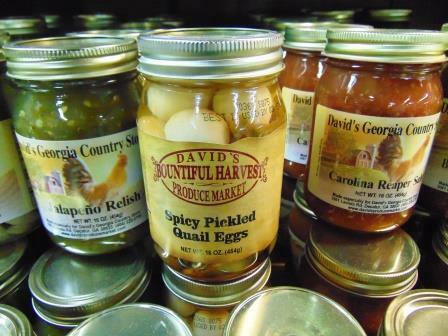 In addition to fresh home-grown produce, there’s an array of boiled peanuts and peanut products, Georgia pecans in various candied forms as well as fresh, and every southern vegetable and fruit you can name. 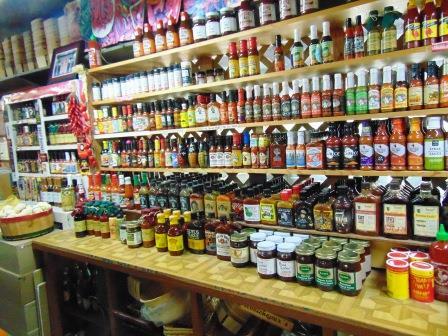 The selection of hot sauces is amazing. 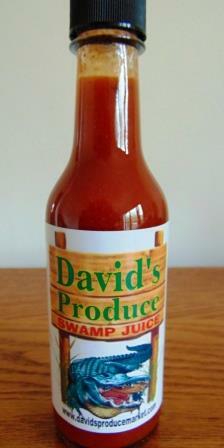 I bought my David a bottle of “David’s Swamp Juice” one of many items produced by and for the small store. I liked the fact that the bottle info includes “This red cayenne pepper is 160,000 on the Scoville Scale.” It also lists it as gluten free and “medium” in heat! The walls are lined with shelves filled with unusual (at least for me!) canned items as well. Candied jalapenos, pickled quail eggs, and jams and pickles galore abound. If it stands still a moment, they’ll pickle it! 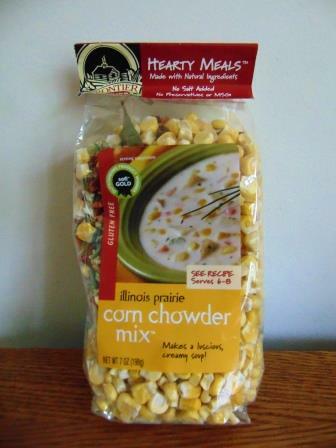 My cousin raved about their dried soup mixes, so I purchased a bag of corn chowder and can’t wait to try it. One cooler was filled with old-fashioned sodas and soft drinks. I had to buy a cream soda, although it was hard to choose which variety to try. I hurried past the display of candies. Check this fun business out at www.davidsproducemarket.com or better yet, go visit! *October is a busy month holiday-wise. Not only is it the month of Halloween and Columbus Day, but it is also National Apple Month, National Corn Month, National Eat Better Eat Together Month, National Caramel Month, National Chili Month, National Popcorn Poppin’ Month, National Seafood Month, National Spinach Lovers’ Month, and many, many more! 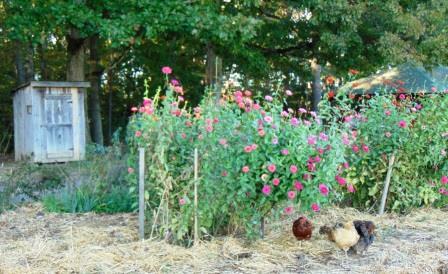 *Remove any weeds—they’re trying to seed, and growing great root systems! 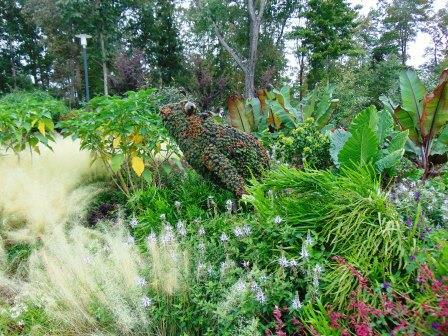 *Collect mulch, shred leaves, etc., but don’t put mulch on plants until after the ground freezes, or you’ll be inviting rodents and insects to live in your garden all winter! 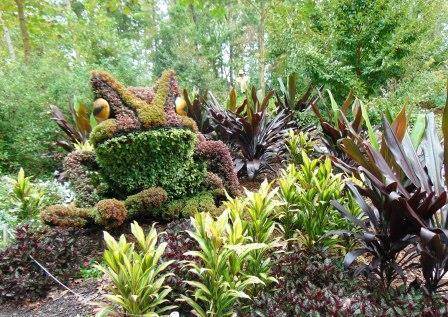 *Dig dahlias, cannas, caladiums, glads, begonias, and other tender bulbs after frost. I love to plant fall bulbs in the holes as I dig. It makes the chore serve double duty! 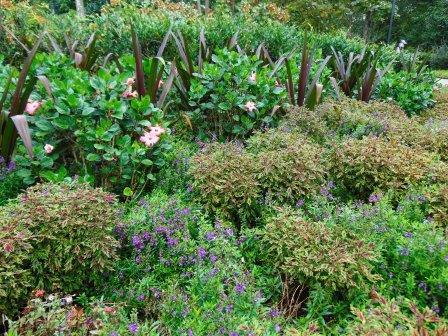 *Move any tender plants indoors before frost, giving each plant a good sloshing in a bucket of sudsy water (use insecticidal soap) to remove insects and insect eggs. Do not up-pot plants unless absolutely necessary, unless they are houseplants that were just vacationing outside. *Map your garden, taking measurements and locating each plant on your diagram. This will be so helpful during winter planning/dreaming sessions. *It’s a good time to check plant labels for faded writing, missing tags, etc. 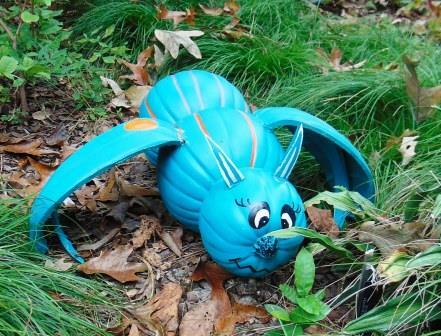 so you won’t mistakenly dig up someone next spring. Orange—the color for vitality and energy…that’s why we love orange pumpkins, orange daylilies, and all the fall leaves. There are nineteen species of mint, “true” species that is, for mint is prone to cross and create myriads of “mystery” mints! Mint is a super-easy herb to grow, preferring only a bit of soil, adequate moisture, and partial sun. If moisture levels are high, more sun can be tolerated; of soil tends toward dry then additional shade is helpful. Although there are tiny mints, like Corsican, Apple Mint is one of the taller members of the family, often reaching four feet in height! And, unlike its green, smooth-leaved cousins, Apple Mint’s leaves are quite fuzzy and gray-green. Like other members of the mint family, Apple Mint can be an aggressive spreader in good conditions, and it is extremely winter hardy. 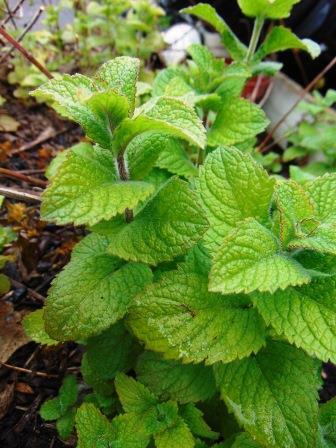 Apple Mint (Mentha suaveolens) is lightly flavored and scented. It dries extremely well and is often used for tea, with a bit of cinnamon added. For teas and other culinary uses it is best picked before flowering. The plant is also useful for dried arrangements because of its large, fuzzy-looking white flower heads and strong stems. The only other member of this particular species is the variegated Pineapple Mint (Mentha suaveolens var. suaveolens) which is not reliably hardy in Zone 5 or colder. 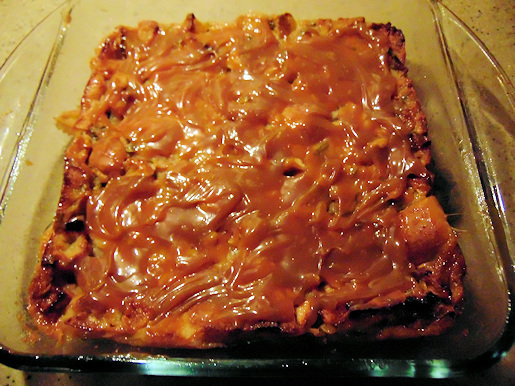 Recipe: Apple Mint Bread Pudding In honor of National Apple Month & National Caramel Month, here's an innovative bread pudding recipe that also uses apple mint! I used hot dog buns because this time of cooler weather brings campfires and hot dogs cooked over the coals. Somehow, we always end up with more buns than hot dogs! Enjoy! In a small mixing bowl, combine 4 hot dog buns, torn into 1" x 2" pieces and 1 3/4 c. milk. Preheat oven to 350 degrees. Lightly spray an 8" x 8" baking dish with non-stick spray. In a second mixing bowl, combine: 4 apples, peeled, cored and coarsely diced; 2 eggs; 1/2 c. sugar; 1/2 c. brown sugar; 2 T. finely chopped fresh apple mint leaves. Mix well. Add apple mixture to bread mixture, mixing lightly just until blended. Pour into baking dish. Bake 50 min. or until edges are nicely browned and center is set and level with edges, and apples are tender. Cool 10 min. 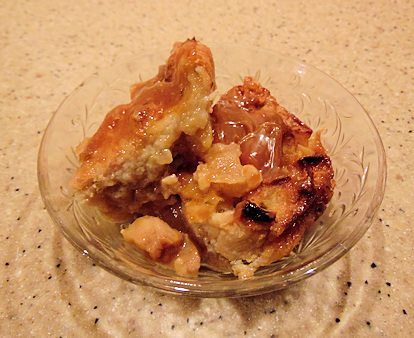 Drizzle with 1/2 c. Marzetti's Caramel Apple Dip that has been slightly warmed in microwave. Also delicious with a hard sauce with a bit of apple mint added, or ice cream! Happy Halloween to all. 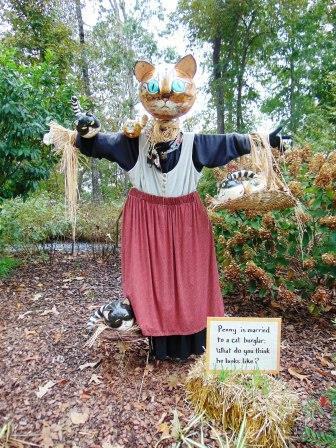 Remember to put rue by your doors on Halloween night so the evil spirits lurking about looking for a nice, warm home for the winter won’t pick yours! Enjoy these last beautiful days of autumn, and I’ll be back to talk with you again next month.